We all know air pollution is serious at outdoors, but only few people realize that indoor air quality is usually worse. Particles from cigarette smoke, fuel combustion, viruses, bacteria and mould spores. Gases pollutants from combustion appliances, cigarette smoking, vehicle exhausts gases from outdoors. Radon, a carcinogenic radioactive pollutant originates from natural sources such as mineral building material. 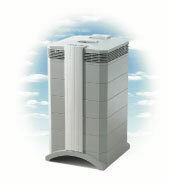 Some people may install air cleaners at home or at work, hoping that these cleaners can provide cleaner air to breath. For those who are suffering from allergic symptoms caused by gases pollutants or airborne allergens, hoping that installing an air cleaner will relieve their symptoms will be their major buying reason. Unfortunately, more than usual the air cleaners do not help, or even become a source of pollution at the indoors. Stating fan capacity rather than the actual air flow (i.e. with all filters installed). Filter with fiber impregnated by carbon dust do not have claimed gas/odor removal capability. 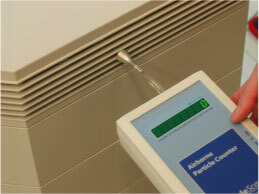 With the help of a laser particle counter, we can be able to evaluate the filtration efficiency of air cleaners. Similar to the case of high efficiency vacuums, we have not yet seen any other air cleaner have a filtration efficiency high enough to capture airborne allergens, bacteria or viruses. Only uses effective and approved filtration technologies (absolutely no ozone generation). V5-CellTM – Gas & odor filter features 2.3 kg of granular dual-media that removes a wide-spectrum of chemical and gases. Hyper HEPA – Filter features a filter surface of 3.7m2 of hospital grade HEPA filter media (Class H12/13). The units can also be configured to create “safe rooms” with either positive or negative air pressure for individuals who are immune compromised or who are infectious or with specialty filtration for individuals who are multiply chemical sensitive. HealthPro 250 air cleaner – zero. 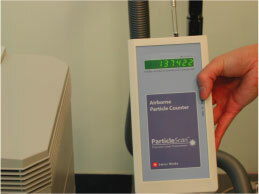 There is very few air cleaners which can have the same reading -zero when measuring particle concentration at the air outlet.